Direct English Bulgaria signed their agreement in late 2015 and opened their first successful education franchise and launched the business with the presence of DIT UK Ambassador in October 2016. Alexander Training Center already has more than fifteen years experience in the Bulgarian market, delivering language training to adults across the whole of Bulgaria. It was established to provide language and other educational services to children, pupils, students and adults. Beside English language tuition, other languages such as German, Spanish, Italian, Greek, French as well as IT tuitions (digital competence, computer literacy) are also taught according to demand. We signed the contract in September 2015. I could compare the signing of a franchise agreement to getting married. Both sides not only like each other and wish to look together into the future but there are considerable responsibilities for both franchisor and franchisee. It’s a process in which the franchisees enthusiasm and desire to work is combined with the many years proven experience of the franchisor and their know-how. It is due to the franchisors professional virtue that the franchisee can overcome a number of difficulties during the process of developing the business and strengthening its position. Therefore each independent entrepreneur may enter into franchise relationships with little previous experience and even without any such experience. Thus they will save a lot of time, effort and money while guessing the right way. In other words, one does not need to reinvent the wheel. In the conditions of growing competition we enjoy the privilege of using a product like Direct English which by its uniqueness would distinguish and set us apart in the language learning market. So in the battle with our competitors we have two main and overwhelming weapons: firstly our development through franchising and secondly the Direct English system which has no analogue and is easy to be used by a wide range of users. Clients need our attention, proper attitude, our interest in their progress â€“ all these are steps that cannot be reversed when it comes to sales in the sphere of services as is the case with education. Regarding the companies we are in partnerships with or the staff of other companies whom we provide tuition to, our creed is always found in the clearly expressed principles of partnership, mutual understanding and reasonable compromise. 8. 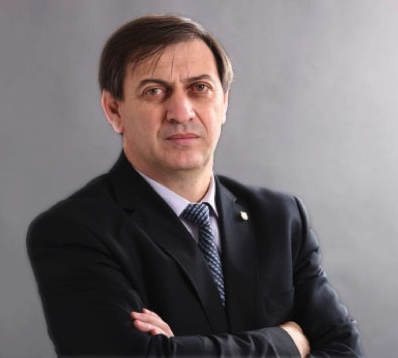 Whats next for Direct English Bulgaria in terms of future growth?